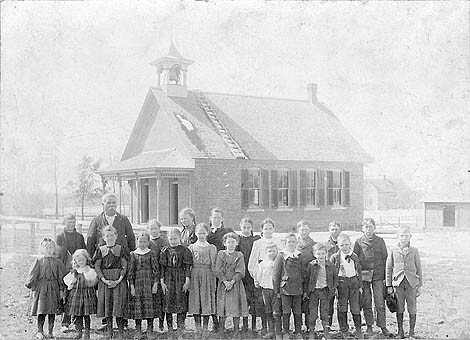 This photo appeared in the November 9, 1898 The Stillwater Gazette (weekly), part of the “Our County Public Schools Series” column (see this issue for a detailed history of the school district up to that time). GENERAL LOCATION South of Scandia. NOTES The first country brick schoolhouse. 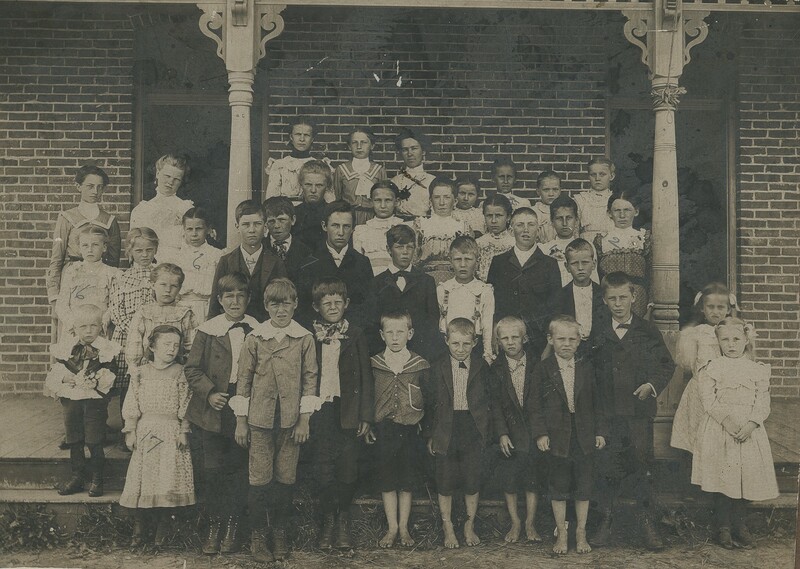 Hay Lake School Class on front porch of school in 1908. Notice the front four boys who are barefoot!